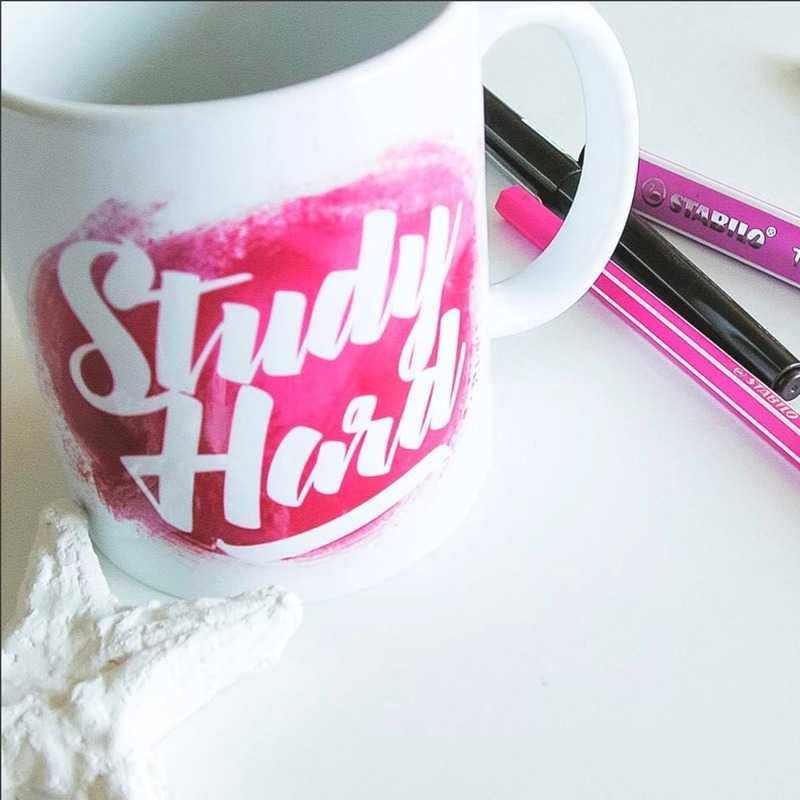 Study Hard! 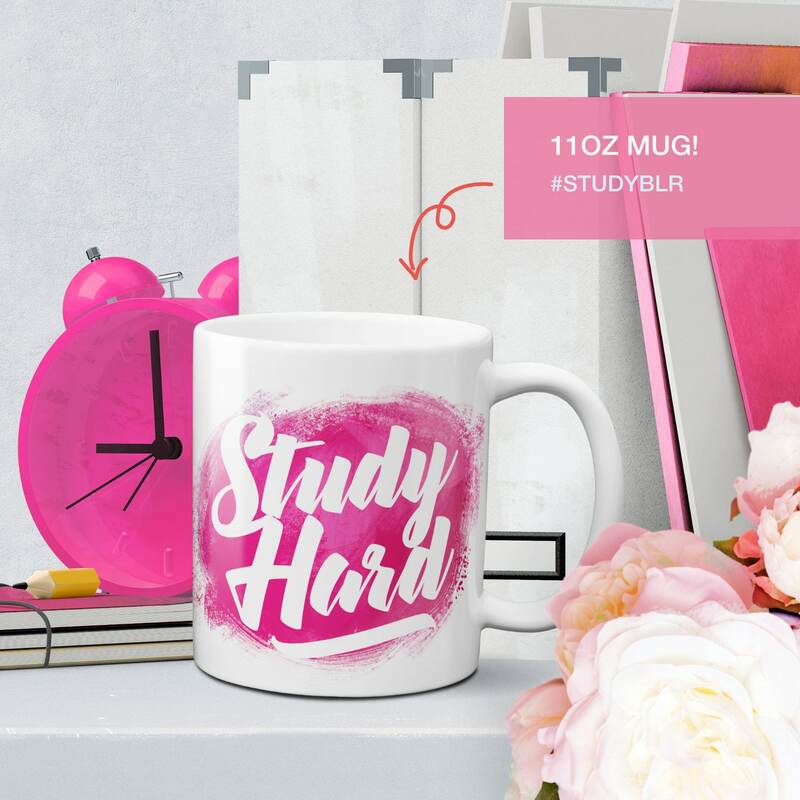 A Pink Coffee mug to keep you motivated during those long hours of study before those tests and exams! I bought this for my niece in college and she seems to really like it. I love the designs of everything! 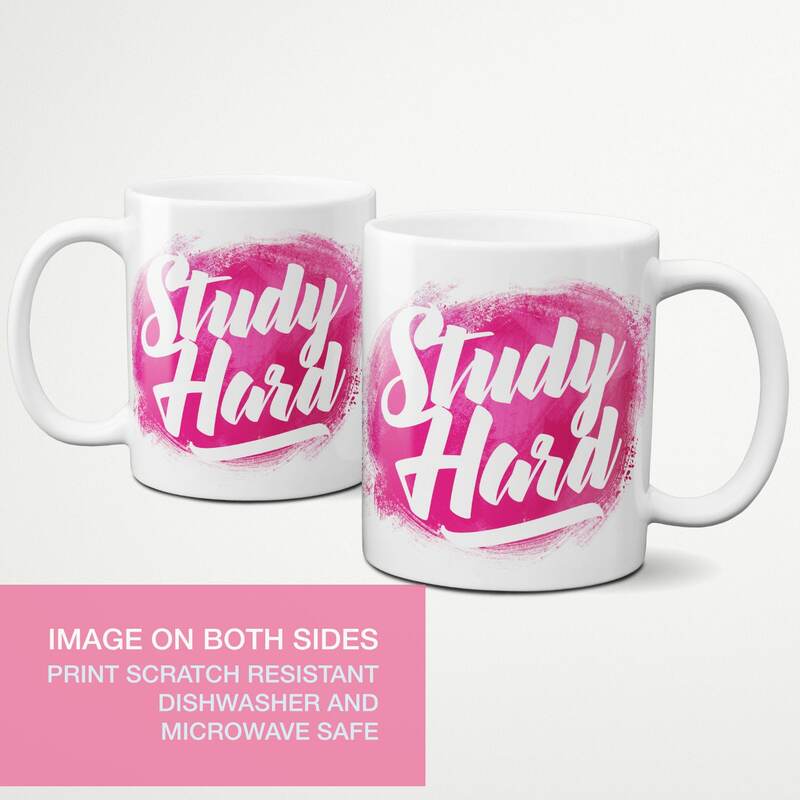 I wish I found these sooner! They go great in my journal and work fantastically in my spread routines! Thank you! !